Some foods are definitely better for meal prepping than others (SKIP THE FISH). When we meal prep, we usually want foods that store and reheat well so they’re still enjoyable in the future. But what about before the food is prepared? 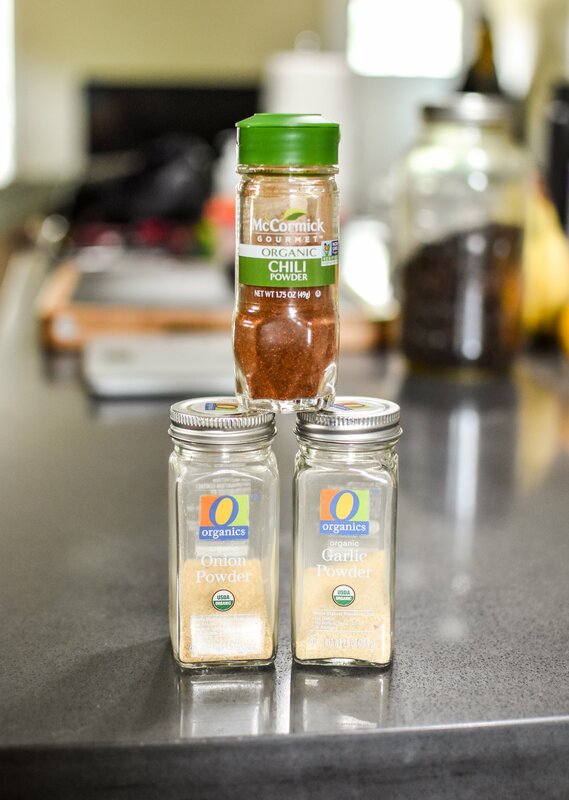 Of course we love to use fresh ingredients in our cooking, but keeping your pantry stocked with versatile, long-lasting ingredients is just as important. 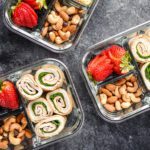 Why is it a good idea to keep meal prep foods stocked in my kitchen? SAVE MONEY: Stock up by buying things in bulk. Of course you want these items to be things you will actually consume, so plan wisely. 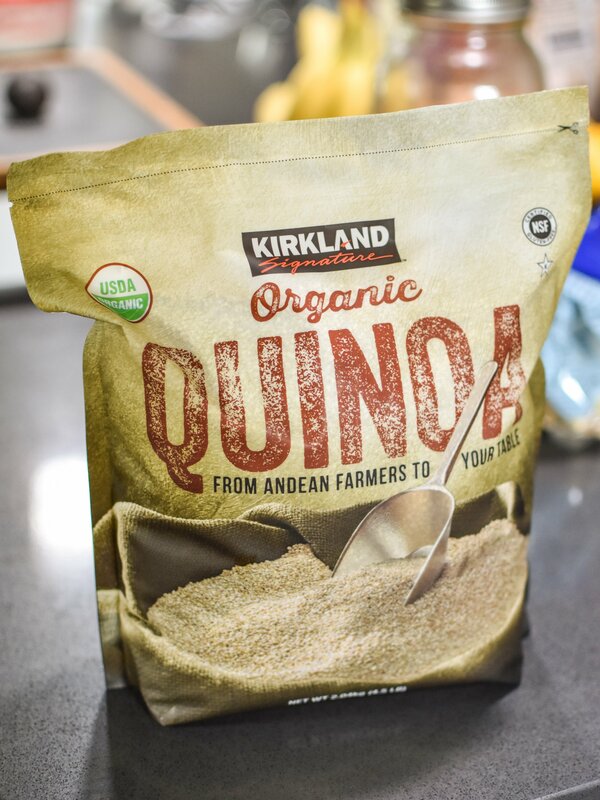 But think about the cost of buying an individual box of quinoa every time you want to cook quinoa versus buying a big ole bag at Costco (hint: you can save almost $7.99 per pound by buying your quinoa at Costco!). 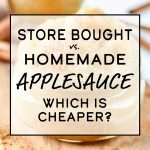 Keeping these kinds of items stocked in your kitchen by purchasing in bulk is a big money saver. A STARTING PLACE: When I meal plan, I always look at what’s already in my pantry. If I know I need to prep for the week’s breakfasts and then I spot some oatmeal, the ideas start flowing! No need to start from scratch every week – look at what you’ve got waiting to be used up. FOOD IN A PINCH: Maybe you didn’t plan anything and there’s no time for the store. Good news: You still have food in the house that can be eaten. Maybe you didn’t meal prep it, but at least everyone will be fed. LESS STORE TRIPS: Through meal planning and a well-stocked pantry, I usually only visit the grocery store once a week. If you already have it in your pantry, there’s less chance you’ll have to make a run to the store for that one missing item! For example, if I decide we’re having burrito bowls, I know I always have beans on hand (purchased in bulk to save money!). EMERGENCIES: Things like canned goods, grains, and other foods that have a long shelf life and are great for meal prepping can also double as an emergency food stock to keep in your home (obviously not the frozen items). We’ve got one box of long-term emergency food rations, but otherwise our canned food would last a decent amount of time if there was an awful emergency. I always hope this will never be necessary, but we are stocked just in case. So there are definitely a few good reasons to keep a well-stocked pantry. How about I finally tell you what those items are? 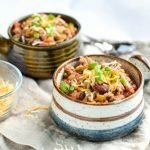 I went through my kitchen/basement where the canned food lives and made a list of Staple Meal Prep Foods Always in My Kitchen. BONUS: None of these items are chicken breasts. Or meat of any kind. No dairy either! 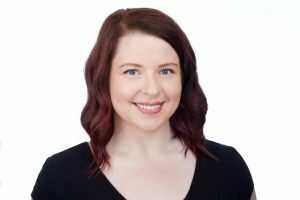 It’s a simple list full of things that make sense, PLUS at least 3 solid examples of how I use that meal prep item in my own kitchen (i.e. recipe ideas or preparation methods). FYI: Every single one of these items was in my kitchen when I decided to create this list. I really do always keep all of these items handy in my kitchen whenever possible! 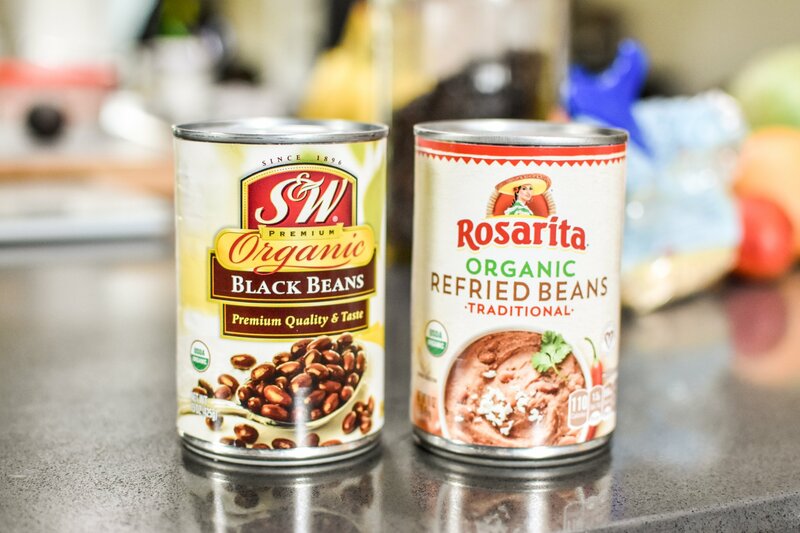 Canned beans, dry beans, black beans, garbanzo beans… Pick you favorite (or favorites) and stock up. Beans are hearty, versatile, and very shelf stable. We always keep black beans and refried beans stocked, plus I’m sure we’ve got some garbanzo beans and some kidney beans for chili somewhere in the pantry too. Brown rice, white rice, wild rice, arborio rice… there are tons of different kind of rice. And lots of ways to cook them. 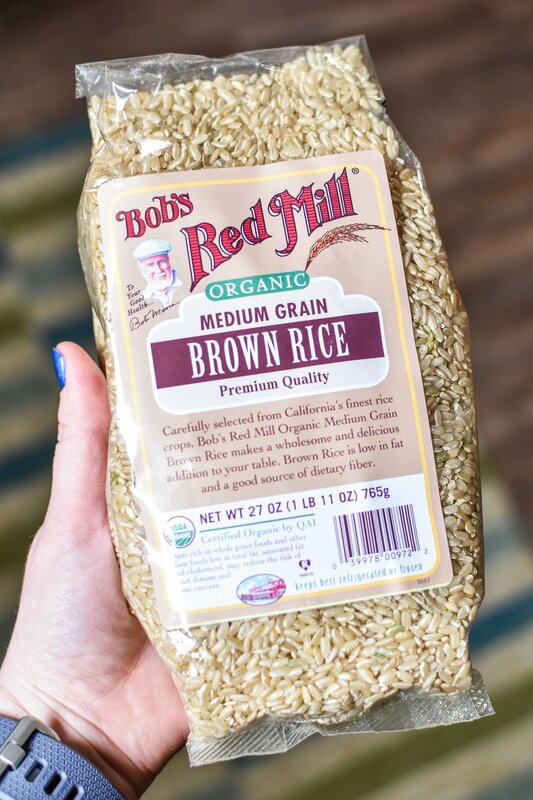 We always keep brown and white rice stocked in our house, since I’ll use one or the other depending on how much time I have and what cooking method I’m using. Generally, I’ll use my Aroma 8-cup Rice Cooker (affiliate link! ), or my Instant Pot to cook my rice. Plain rice goes with tons of main dish recipes, but you could also prep the rice as its own main dish with a homemade fried rice. Rice pudding anyone? 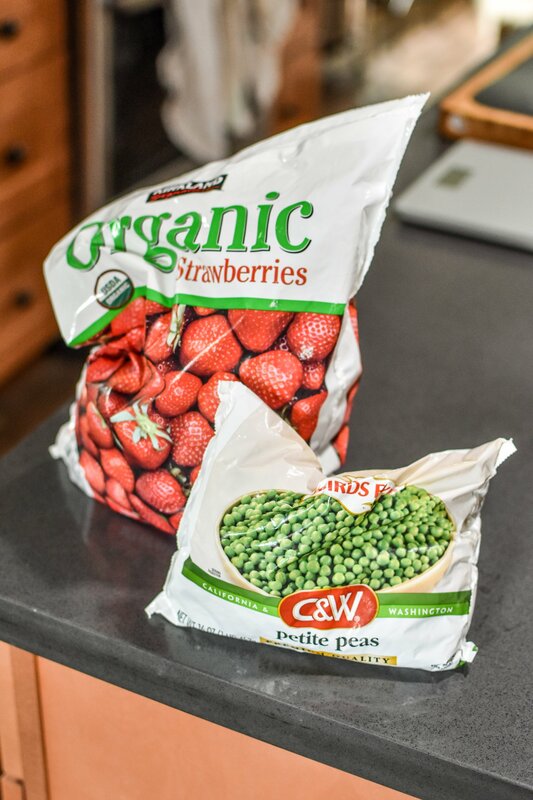 So many options, so many recipes… frozen produce we always have on hand includes berries, mango chunks, peas, corn, and spinach. The berries and fruit are used almost exclusively for smoothies, which you can totally meal prep by assembling freezer smoothie packs. Things like frozen corn and peas are great to toss into dishes for added color, flavor, and variety. You do not need a vast array of spices to cook and meal prep delicious food. If I had to get rid of all my spices and pick only 3 to keep (not including salt), I’d probably pick these. All meal preppers have spices they rely on when they cook. 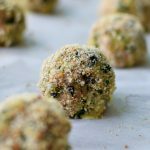 An easy but delicious way to make sure you’re flavoring your meal preps well! Broth is one of those things I’m not sure I could cook without. Whether you’re a veggie broth person or a meat broth person, you have to admit it’s handy either way. You can cook in broth for added flavor (think grains like rice or quinoa) or use it as a base for soups and stews. 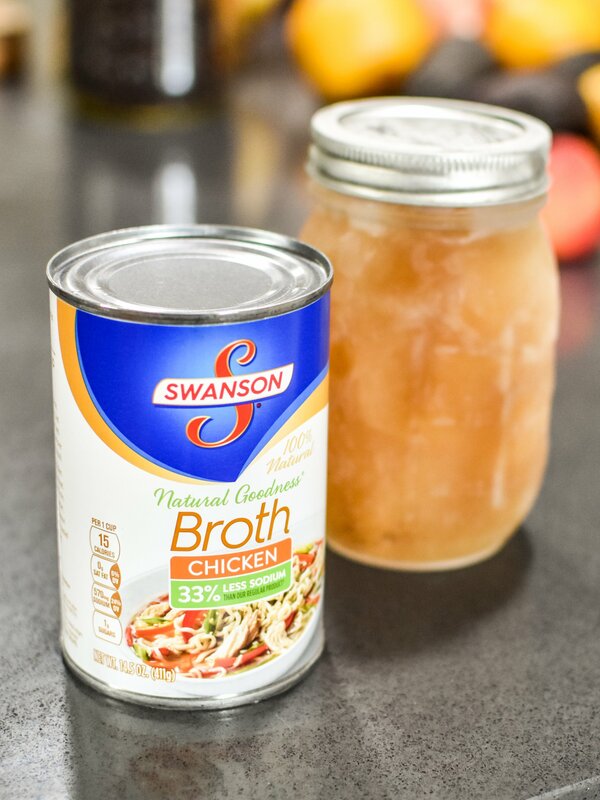 I’ll usually make my own broth from our ButcherBox (affiliate link!) organic chicken, but I also keep some canned broth on hand for backup. This one might sound a little weird, but hear me out. 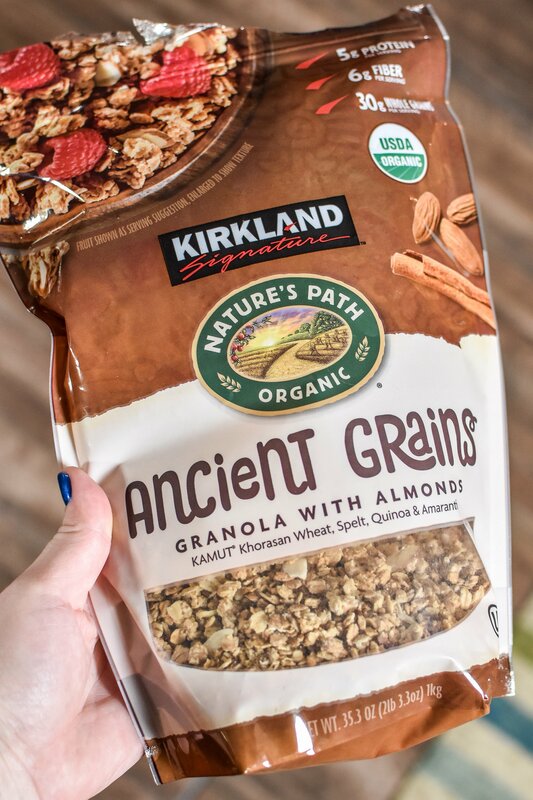 There are so many ways to make granola to fit within your particular diet. You can eat granola as a snack, add it with milk for breakfast, or sprinkle it on top of yogurt. Go sugar free, nut-free, or whatever-free you want – granola is a great meal prep item to keep around. 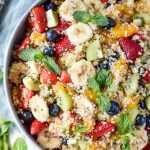 Quinoa functions similarly to rice in our household – it can be paired with lots of make-ahead meal prep recipes, used in casseroles, or simply prepped ahead for quick use during the week. However, it’s different enough that you can keep some variety in your meal prep by switching it up. We buy quinoa in bulk from Costco because it saves a ton of money! We always have quinoa on hand for an easy side dish. 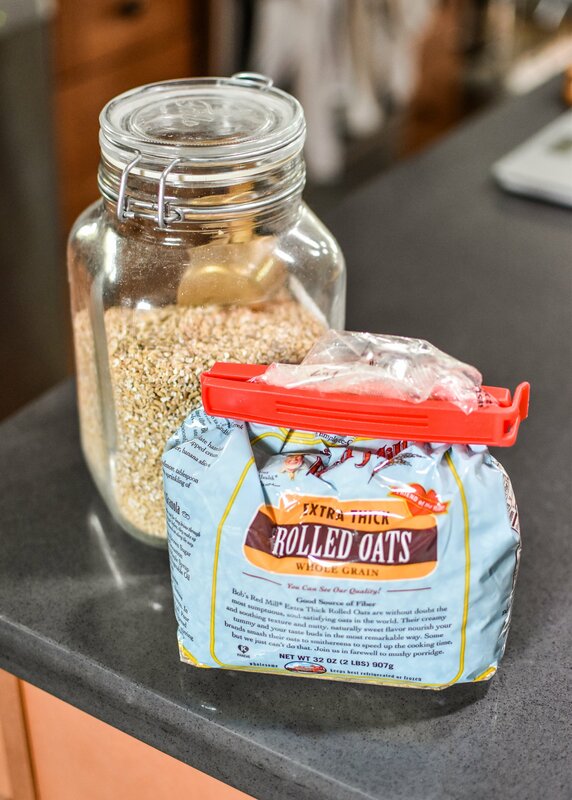 Overnight oats, breakfast oat muffins, steel cut oats, oatmeal bake, homemade oatmeal packets… Oatmeal is the key to all of your breakfast meal prep needs. You can easily customize for any tastes, schedule, or meal prep need. You can cook oatmeal directly on the stove, bake it in the oven, give it a go in your Instant Pot, or do no cooking at all. See? Any cooking method for any need! 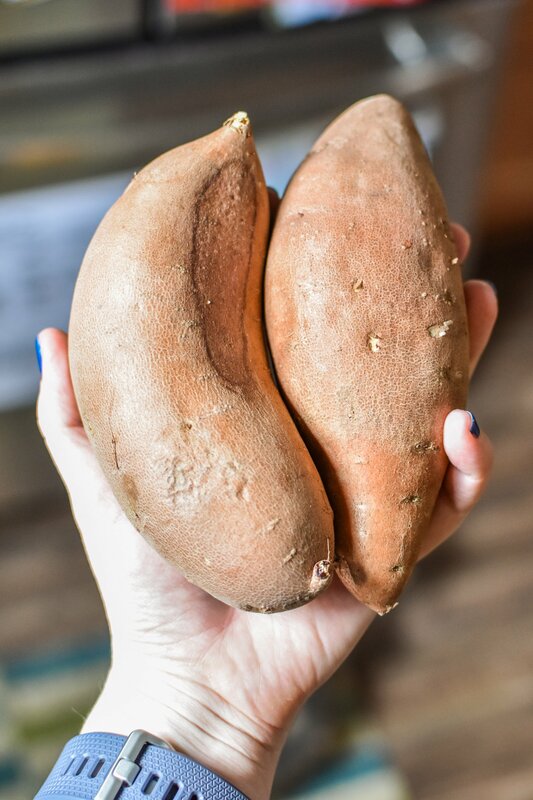 No other fresh veggies made this list, and this is mostly because sweet potatoes are simply amazing and have so many uses. Go with the simple route and bake the sweet potatoes to have as a side with dinner. You can easily prep by slicing and dicing them ahead of time if you’re going for sweet potato chunks for a meal prep bowl. Or, you can get even more creative and add sweet potatoes to your snacks and desserts! See recipe ideas below. Another one you’ll probably think is a weird suggestion at first, but just go with it. There are SO MANY kinds of pancake mixes out there – paleo, sugar free, gluten free, extra protein, plain old buttermilk… and they can be used for way more than just pancakes. Yes, pancakes are easy to make and store in the fridge for quick access (we do this often), but you can also use pancake mix to make muffins, waffles, and maybe even something savory! It can be a great starting place when you’re out of ideas. 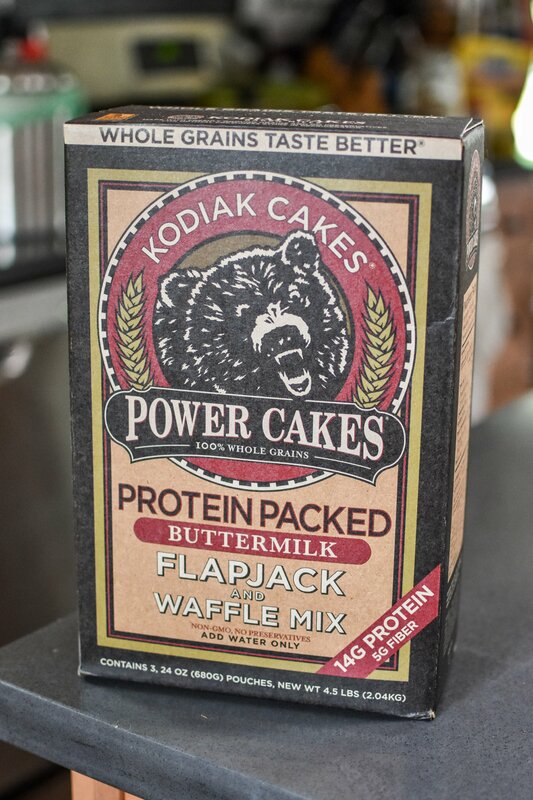 We always have some Kodiak Cakes Pancake & Waffle Mix (affiliate link!) on hand, and I’ve used it for so many kinds of pancakes, as well as muffins, waffles, and even homemade Reese’s Egg Cups. Try it – you might like it. 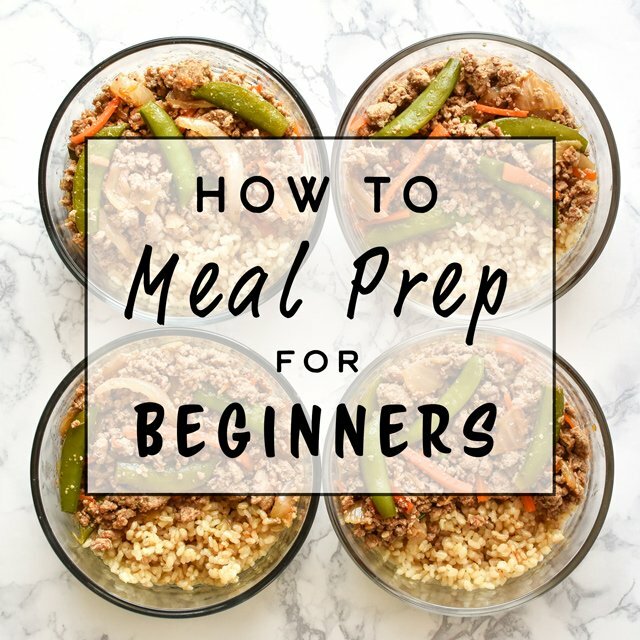 Looking for some meal prep supplies? Here are my most commonly used meal prep containers and bowls. 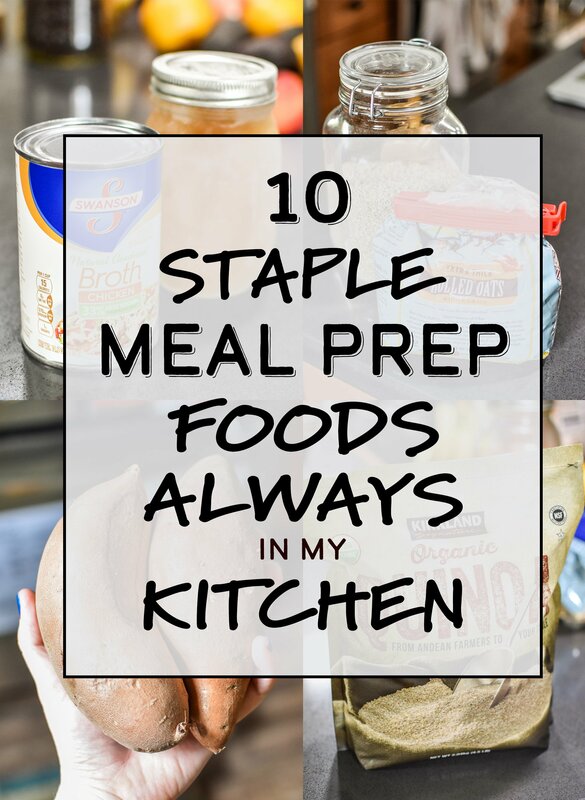 There you have it – 10 Staple Meal Prep Foods Always in My Kitchen, along with lots of good meal prep recipe ideas! 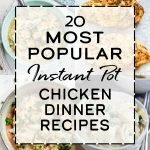 Hope you find this list helpful and inspiring for your meal prep routine – I really do have all these items in my kitchen almost all the time!